When it comes to farm animals pigs get a bad rap that is filled with mostly untruths. Like the fact that these hogs don’t in fact go crazy with their food and “pig out”. These taste-loving critters in fact prefer to eat their food slowly and take the time to enjoy it. And when someone says that they are “sweating like a pig” they are not. This is because these animals do not sweat at all and actually like to keep clean if they can. So when you go out as this resident of Old MacDonald’s farm you’ll know how to act, like a proper gentleman of the barnyard. This adult pig costume is a funny farm animal costume that will make you the center of attention on Halloween. 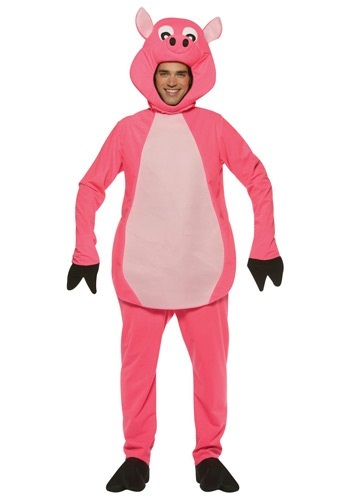 Get this animal costume for a great price.